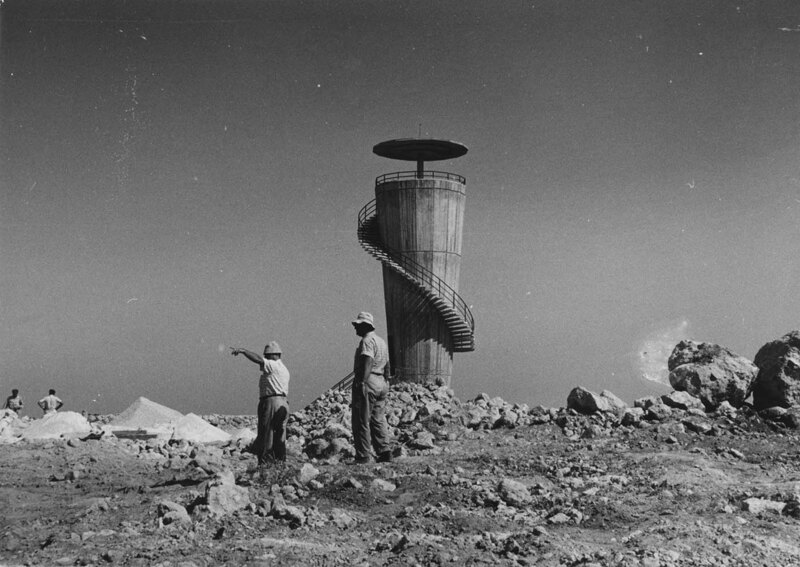 Photograph depicts a watchtower with a few people around it. 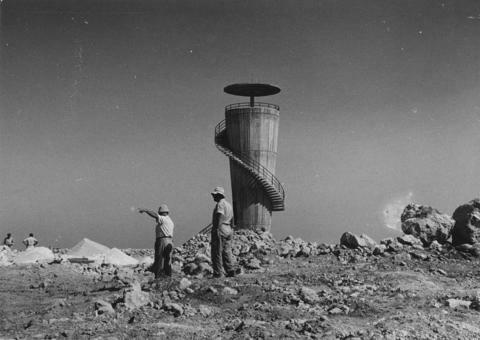 Written on verso: "Watchtowers. 1964 Page 13 JWB Jan 12/ 3 x 4 crop top. We made Aliyah. Over 18 fire towers. 14/195."